CAD drawings always contain security sensitive data that should be protected from unwanted use. If you share your works in original CAD format, they can be edited and copied for someone's personal needs. To prevent your files from this you can convert them to PDF format. All these options can be used in combination to provide maximum security for data in drawings. 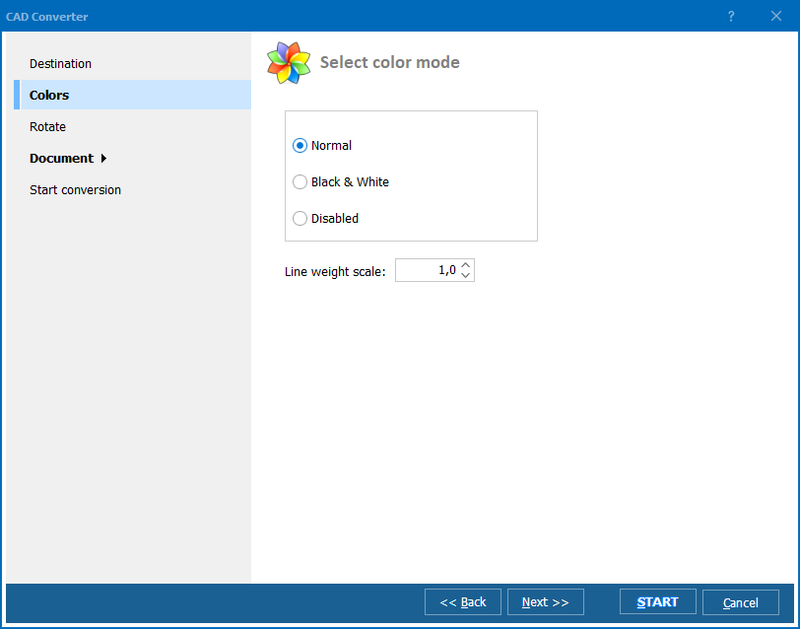 The program supports batch conversion, and there is no need to convert each drawing separately. If you would like to set the same password to a few CAD files, convert them in batch. 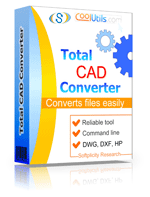 There are two levels of password protection provided by Total CAD Converter. The first one is the owner's password with the full set of permissions. An owner can do whatever he needs: copy, edit, print PDF copy, etc. The second level is the user password. You can set any permissions for user access. For instance this can be only rights for viewing PDF copies. 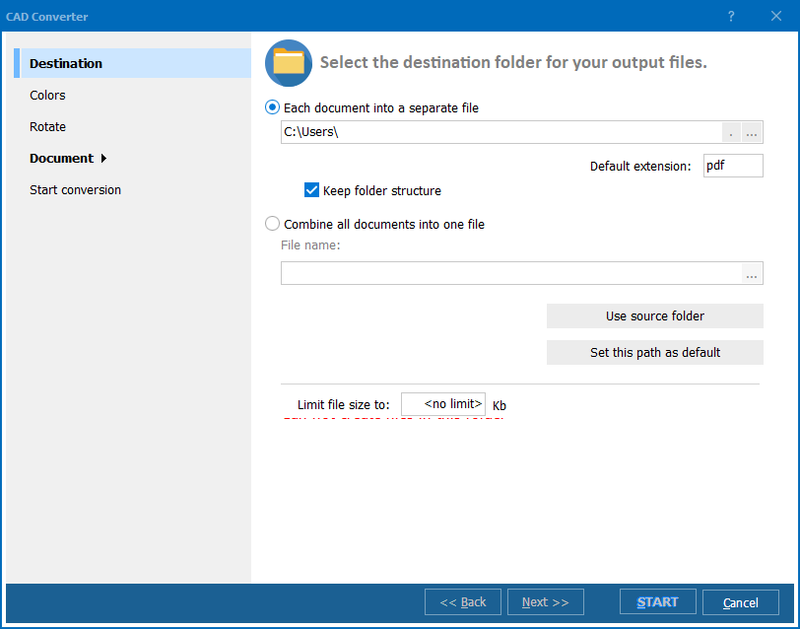 In order to setup encryption, you should select the CAD source files, specify PDF as the target format and get to the settings wizard. There you will see the 'Document' tab with a few options including 'Encryption'. In this tab you will be able to setup two types of passwords and set of permissions for user access. It is also possible to apply digital signature for higher protection from unauthorized use. Signed PDF copies of your drawings will be accessible only for people who have a secret key to decode them properly. The rest of the users will see the PDF files encrypted. 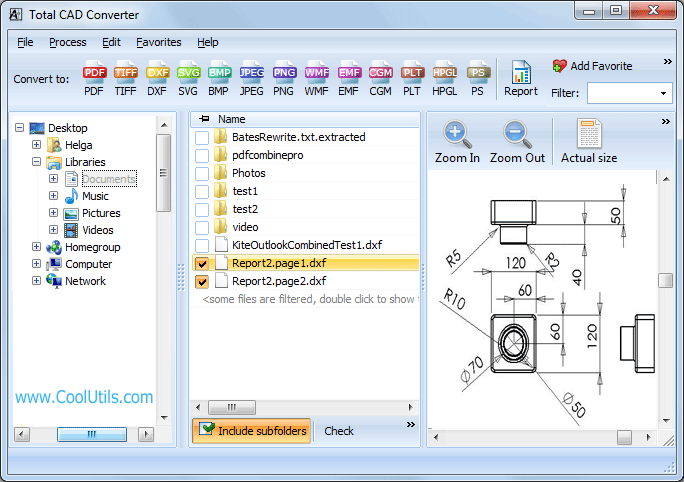 Total CAD Converter supports all major CAD file types. It will be a good fit for all drawing editors you may have. Try it without registration!